•River networks can be displayed in several formats and it is important that you supply RivEX with the correct type of network. RivEX works only with data that is in vector format. This page explains what type of network RivEX requires. •Your dataset must be a vector dataset. •Your vector dataset must be of polyline (arcs) feature type. •Polylines must be connected to each other only at their ends (nodes). •Polylines must be digitised in a source (From) to mouth (To) direction. •The polyline represents the centre line of the river and not the banks. •Lakes and reservoirs should be reduced to centre lines so that a connected network is formed. •The topological structure of your network will dictate the performance of some of RivEX's functionality. •Your network would ideally be stored in a File GeoDatabase or ShapeFile, avoid using a Personal GeoDatabase. •River networks can be displayed in a variety of formats. 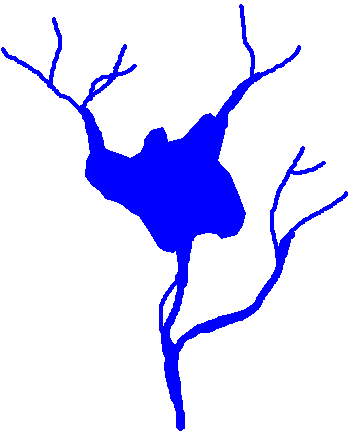 Depending upon scale and symbology a river may appear to be a network which RivEX could process. The following are examples of networks which are not topologically correct vector networks. •Many rivers are displayed and analysed in raster format. 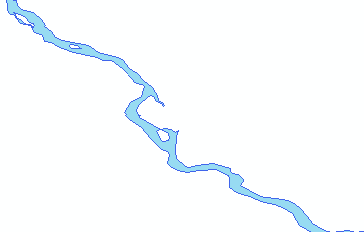 If your river network has a pixellated appearance as shown in the image below then your data is in raster format and RivEX cannot process this. •Rivers are often captured on maps as polygons, especially wide rivers. If your data is in polygon format then this cannot be processed by RivEX. 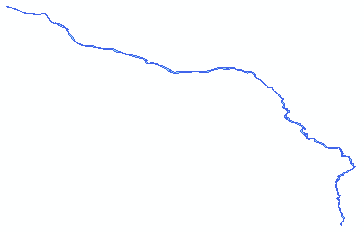 The images below show a section of river that first appears to be a valid network but when zoomed in it is clearly a polygon and cannot be processed. •Rivers may be captured as lines but the network is not topologically correct. Below is an image of a network that should not be processed by RivEX. The RED circle indicates the point at which a river has exceeded a threshold size and is now being displayed with its left and right bank. 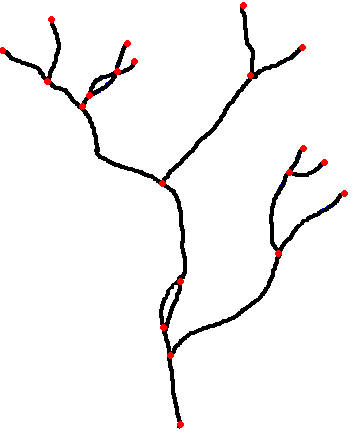 Technically this is a network as it is still composed of polylines but the stream ordering algorithm expects a single line to represent the channel not left and right banks. 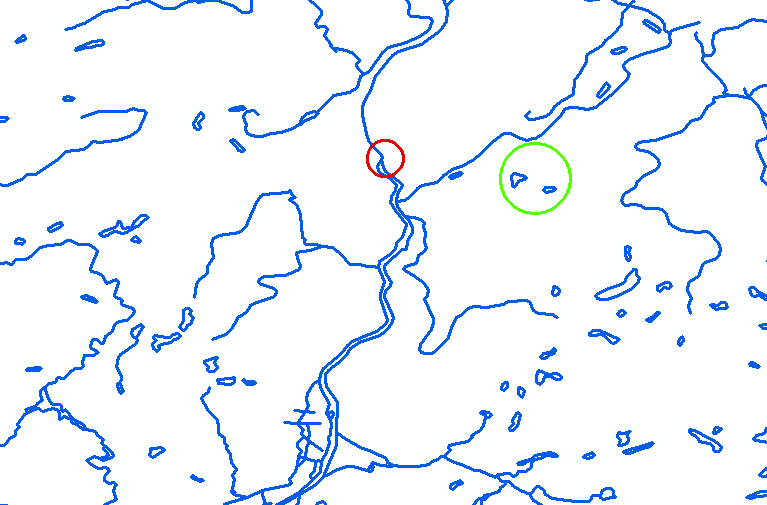 The GREEN circle indicates water bodies, most likely lakes, that are not part of the network. Such polylines should be removed from the dataset.